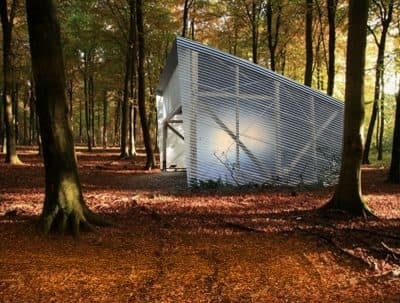 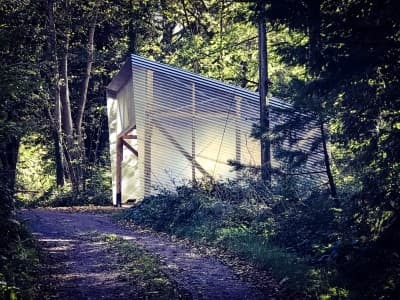 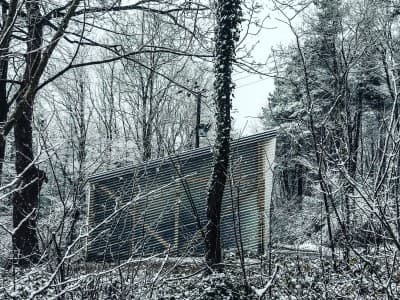 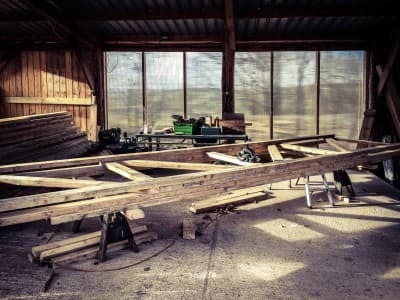 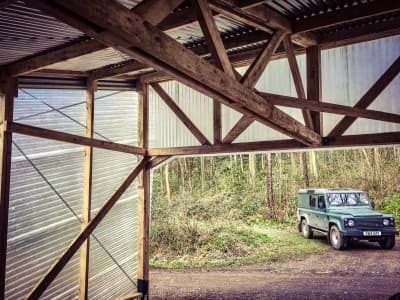 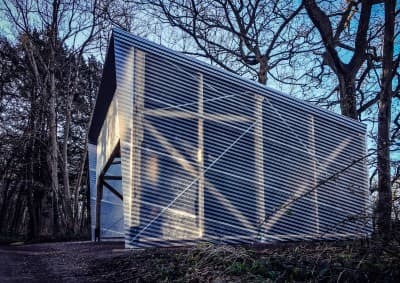 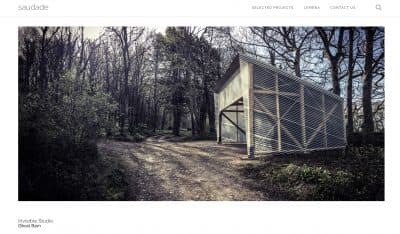 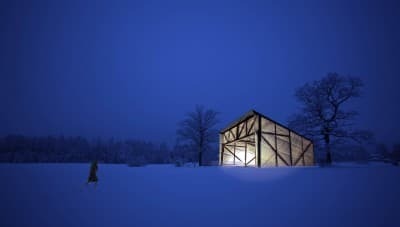 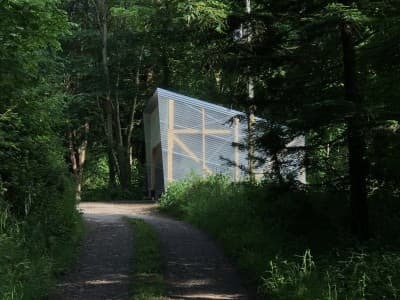 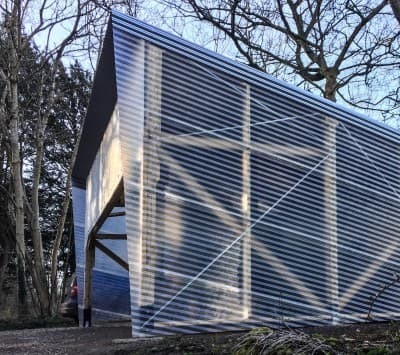 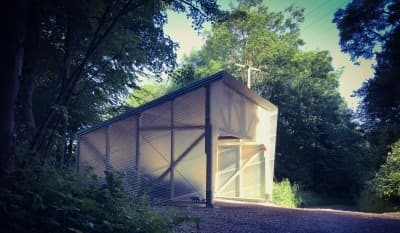 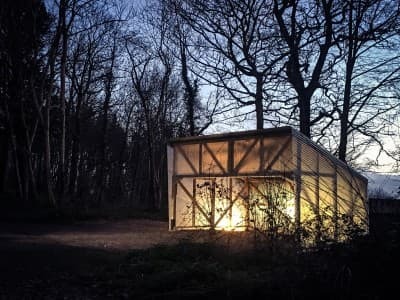 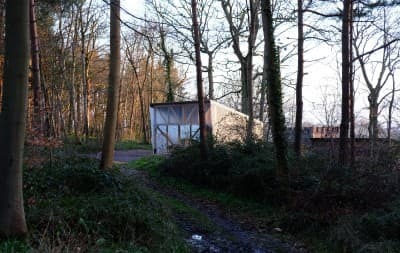 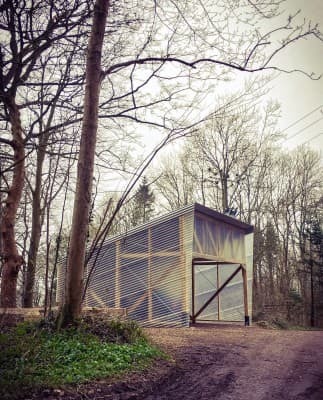 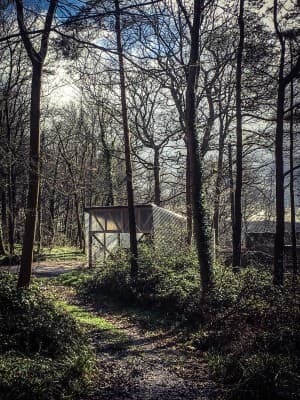 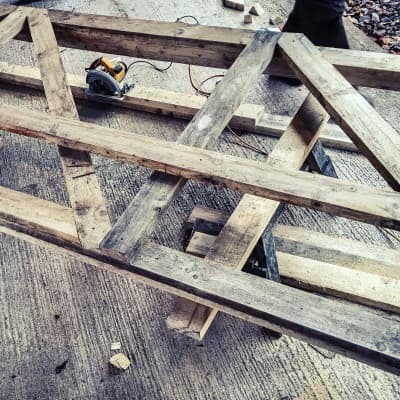 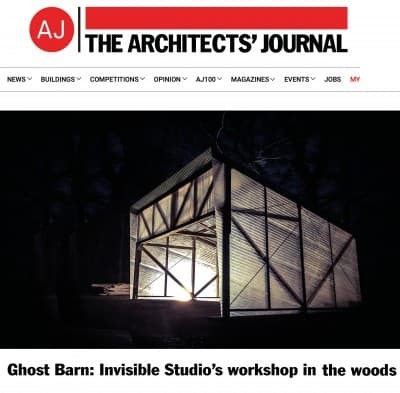 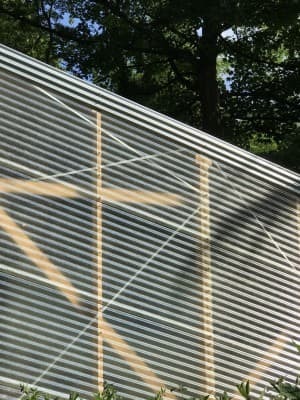 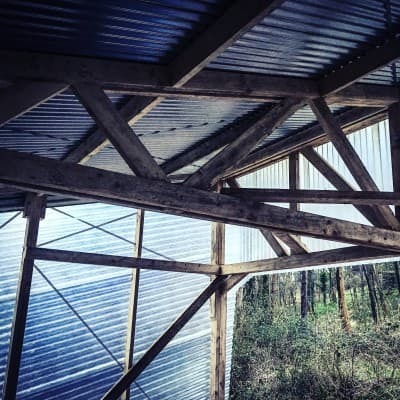 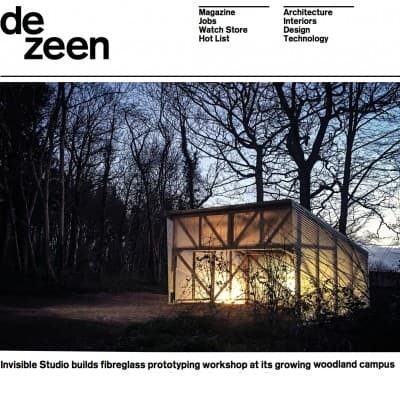 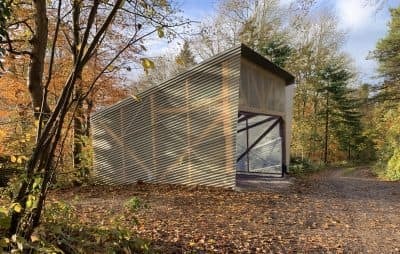 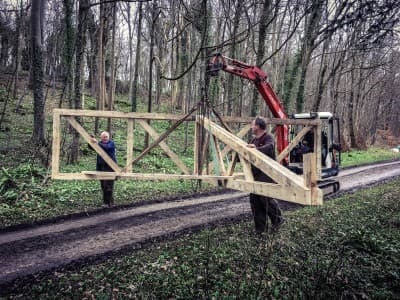 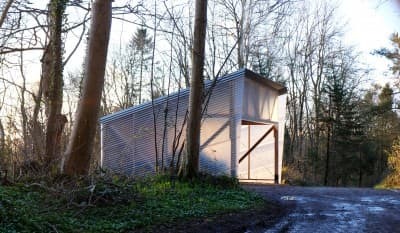 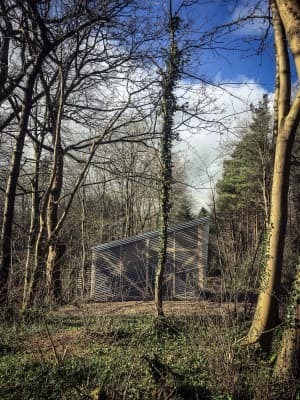 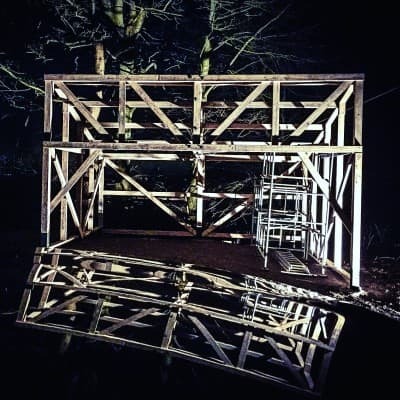 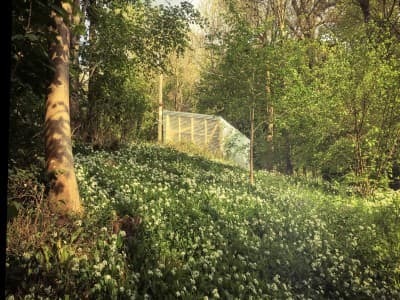 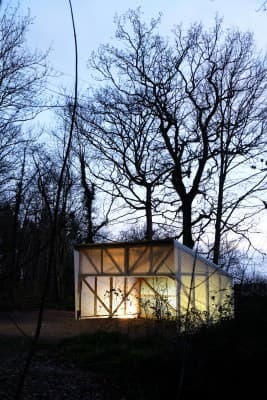 A new prototyping workshop built for and Invisible Studio, built to complement our woodland studio, using our own unseasoned timber grown and milled on site. 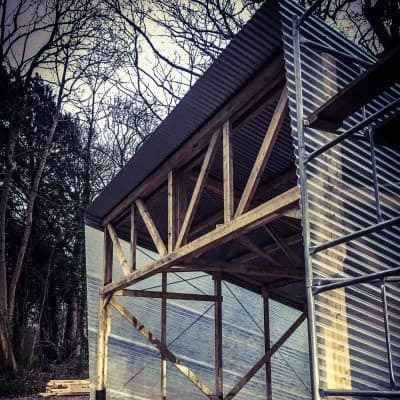 The building will be use for full scale making projects undertaken by the studio. 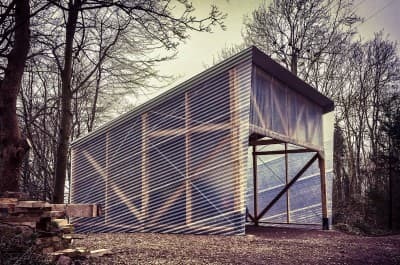 The project is the first of a series of ‘equivalent’ projects that use same-section timber. 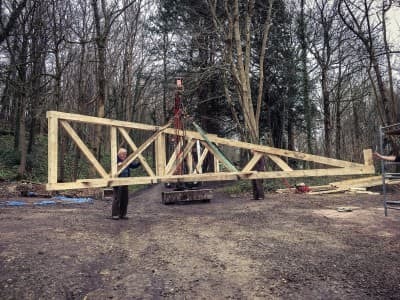 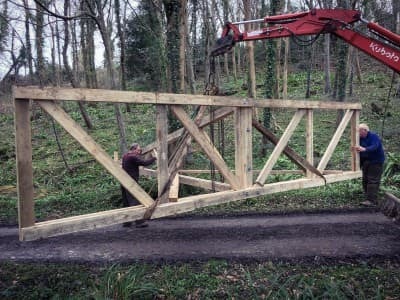 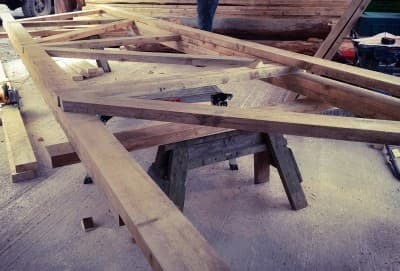 This one uses 5 x 2″ timber for everything, and was an exercise in constructional efficiency, taking less than 2 weeks from start to finish. 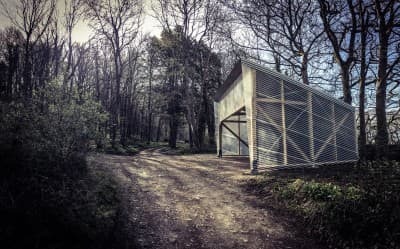 The project also relates to Piers Taylor’s PhD topic exploring contingencies that emerge through incorporating making in to design. 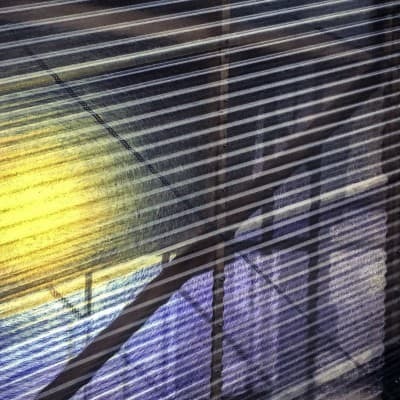 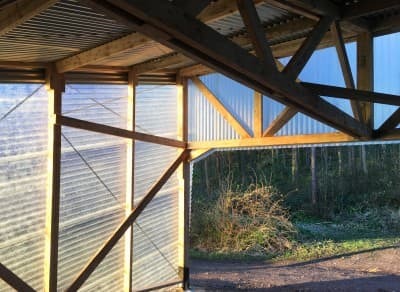 This project, again, had minimal drawings – leaving much to be determined in an ad-hoc way by the build team. 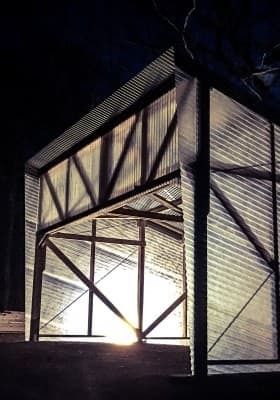 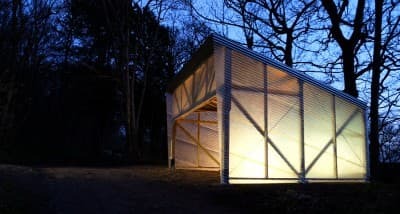 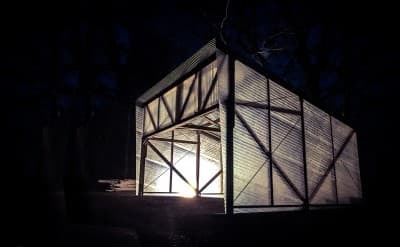 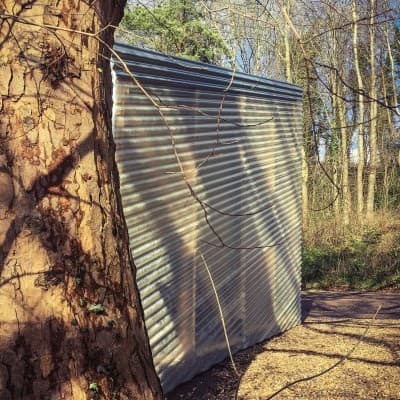 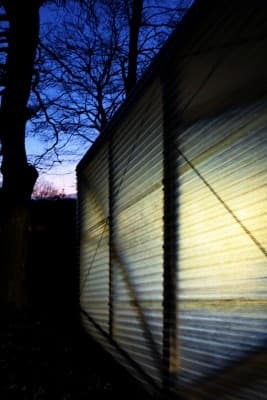 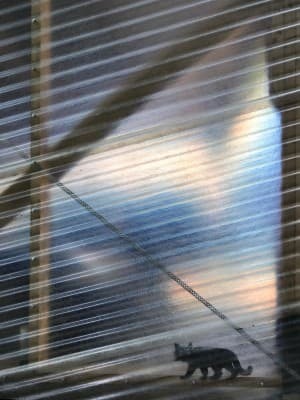 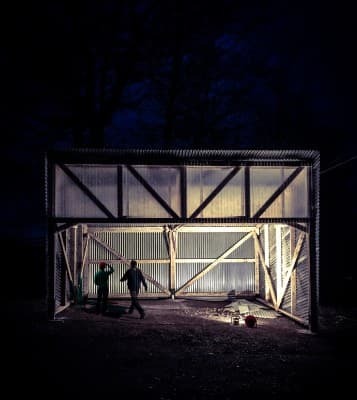 The project is clad in impact resistant fibreglass and corrugated steel, consciously reflecting the local agricultural sheds that exist locally, with materials available at local agricultural merchants.